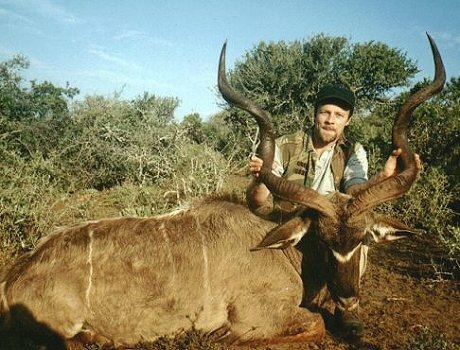 Brian Smith of Port Elizabeth with a very nice 52.5" Eastern Cape Kudu. Brian used a custom built 7 mm Rem Mag and GS Custom 130 grain HV bullets (284130HV.065) to take the bull with a heart shot at 130 metres. The bull dressed out at 118 Kg. 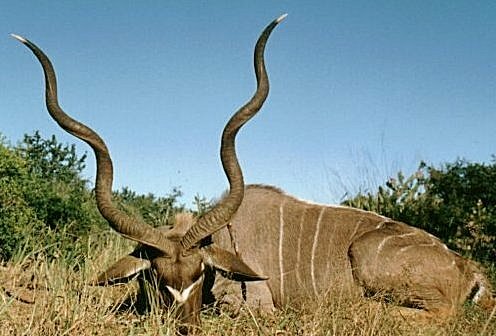 Another Eastern Cape Kudu bull taken north of Uitenhage by Brian Smith of Port Elizabeth. This bull measured 53.25" which is pretty substantial for the Eastern Cape. Dressed out weight was 150 kg. The shot was taken at two hundred and sixty metres. The 130 gr HV bullet struck in the neck and was recovered at 100% weight retention. Brian loads the HV bullets from his custom 7 mm Rem Mag at 3300 fps.